Few forms of motorsport offer up a more pure driving experience than going tire to tire in a shifter kart. Likewise, of the many storied and excellent tracks of the world, Laguna Seca holds a special place in the the hearts and minds of racers of all stripes. Combine the two for the first time and you've got a recipe for unbridled awesome. Laguna Seca had been off limits to 125cc shifters for some time due to pesky noise regulations, but with a new air box and a larger exhaust silencer, the pint-sized racers have only just managed to squeeze under the 92 dB rule. To celebrate the occasion, one racer was kind enough to strap a camera to his machine before taking to the course. As a result, we can all tag along for the ride. If you're short on time and just want to see the shifters dance down the infamous Corkscrew, jump ahead to about 1:30 in. Hit the jump to see the full flick for yourself. Thanks for the tip, Jason! 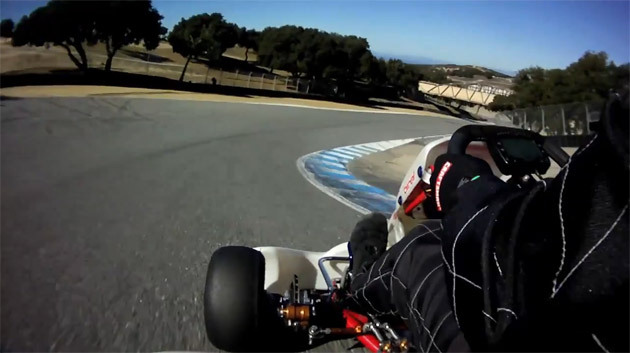 Video: 125cc shifter karts lap Laguna Seca originally appeared on Autoblog on Thu, 13 Jan 2011 12:36:00 EST. Please see our terms for use of feeds.